A Happy Song: Spreading the Love. Three Clay Heart Ideas. Spreading the Love. 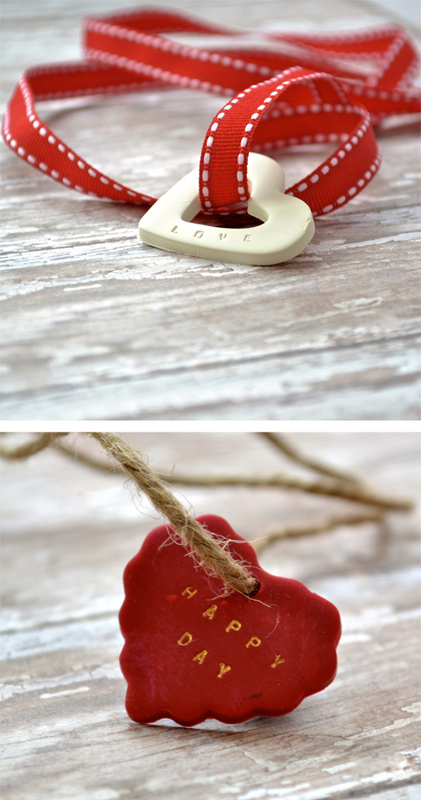 Three Clay Heart Ideas. 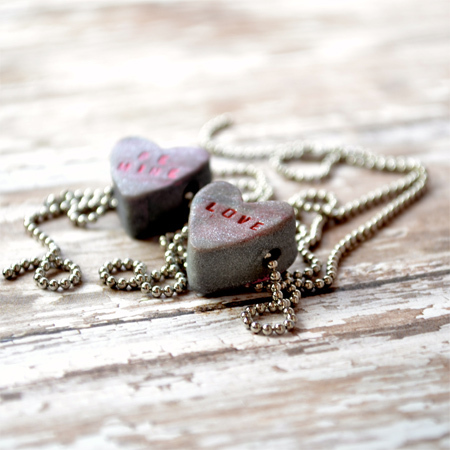 This last week, I was really inspired by a beautiful, sterling silver conversation heart necklace. I knew Jellybean would love it, but unfortunately, I'm not that into spending $86 on my 2 year old daughter. Fortunately, I love working with oven-baked clay (take a peek at my clay rose necklace). 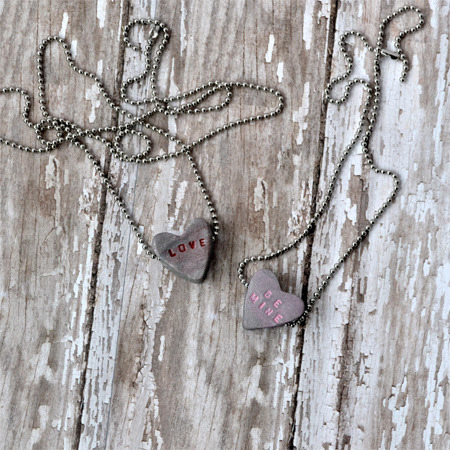 So, I whipped it out and put together a sweet necklace for my little girl. GO HERE FOR THE TUTORIAL. It didn't turn out exactly as I had envisioned, but it was greatly appreciated by the recipient. Couldn't decide on which photo was cuter. I wanted to share two more ideas for creating clay hearts with you. These two are both gift-tags/ornaments. I created them a few years ago and decided to make more this year. Hope they give you some inspiration.